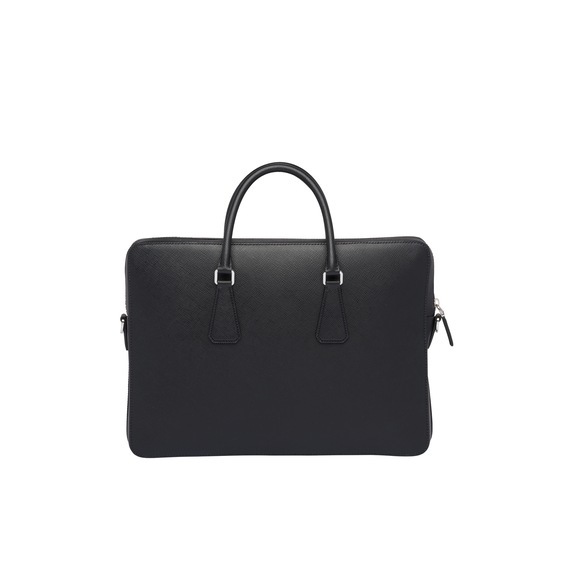 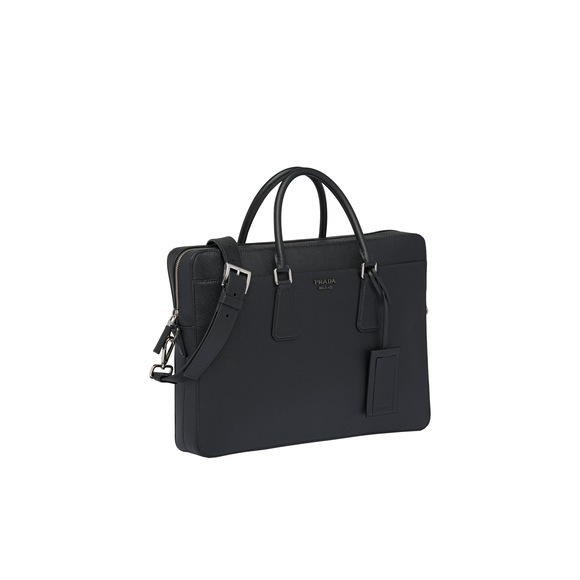 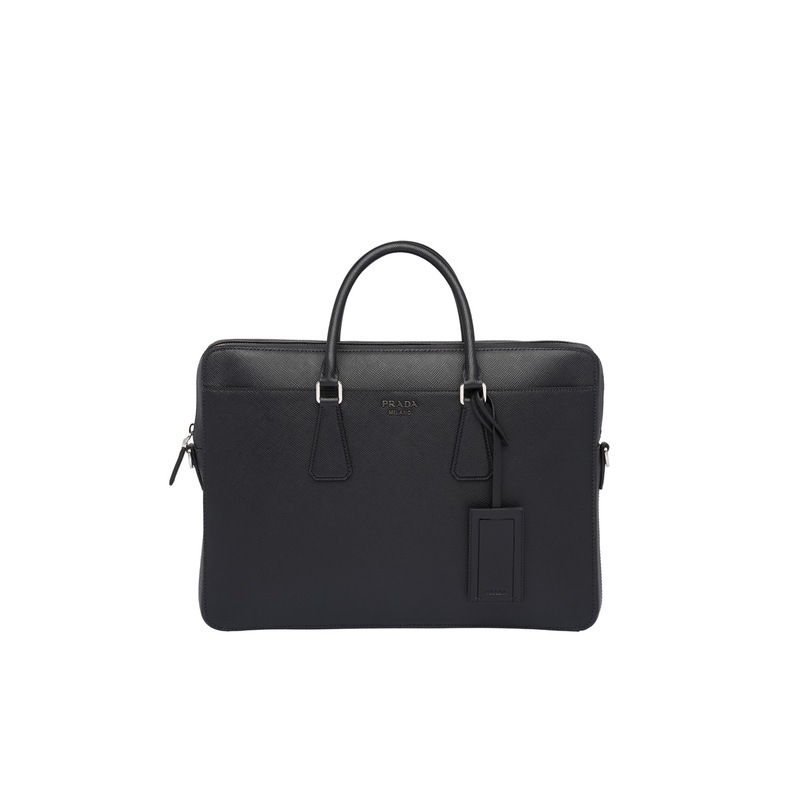 The iconic texture of Saffiano Cuir leather defines this elegant briefcase with metal hardware. 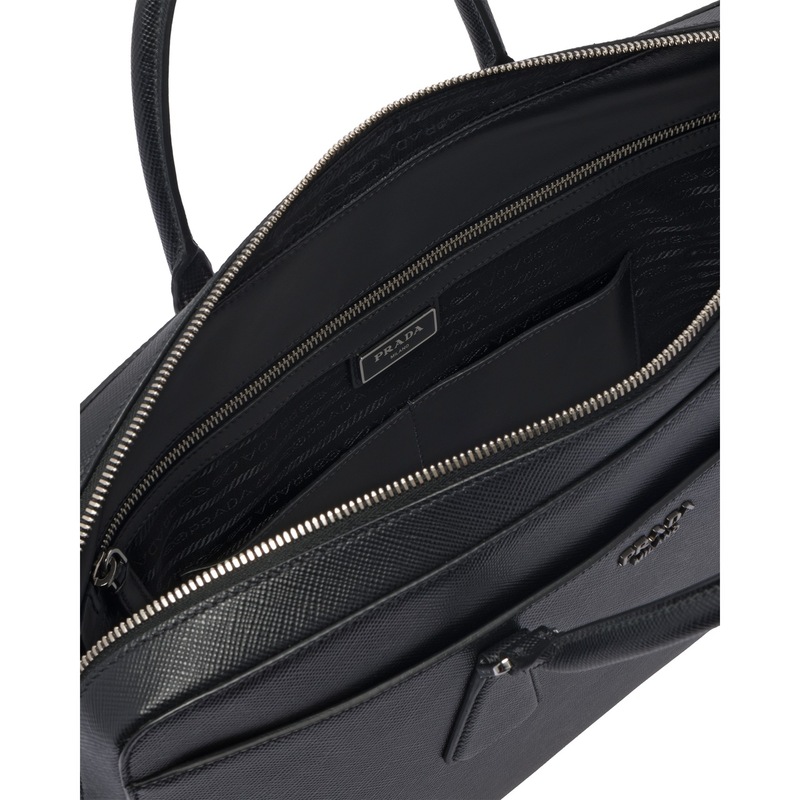 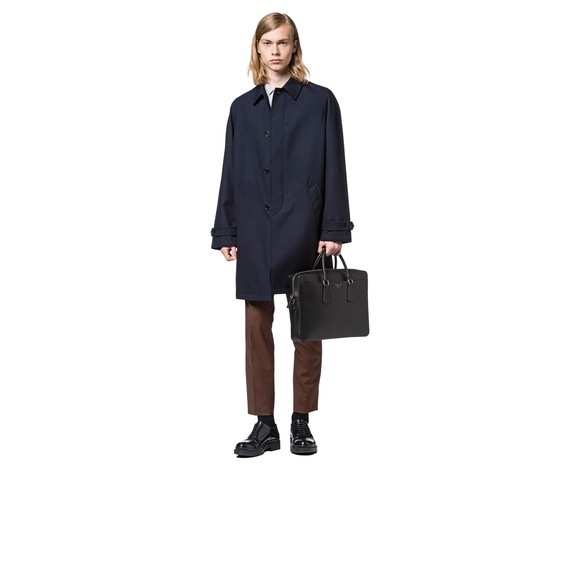 Its refined lines are completed by the front pocket. 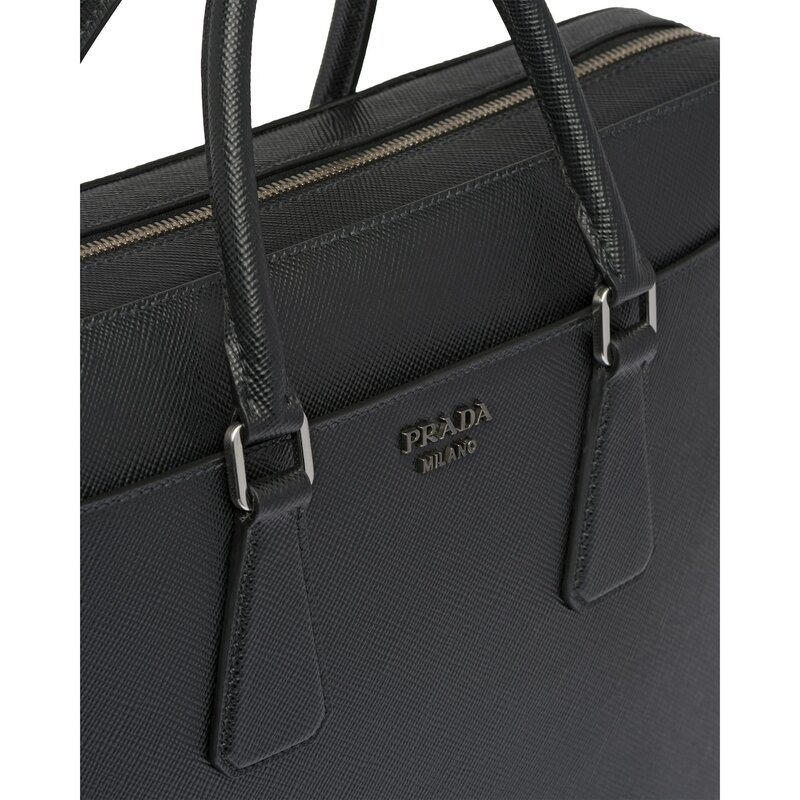 The shoulder strap is detachable.